This entry was posted in Air Conditioning and tagged Air Conditioning, Homeowner Tips on July 29, 2015 by coolbreeze. One of the most common problems that people experience with their air conditioning system is when it freezes. This can be a frustrating experience, because it will leave you without the comfort of cold air. Because most people will experience this problem at some point, it’s important to know what to do when your air conditioner freezes. The first thing you should do is turn off your air conditioning unit. This will allow your equipment to “thaw”. If you want to speed up the process, you can run the fan on your HVAC system, just make sure that it isn’t set to the “cool” setting. You can also take a hair dryer and use it to warm the coils to help it thaw a bit faster. While you’re waiting for your air conditioner to thaw, check the drain or condensate line to make sure that it is not clogged. You should also empty the drain pan while you’re at it. Another common cause of a frozen air conditioner is running your HVAC system with a dirty air filter. The filter should be changed every month so your HVAC equipment can run effectively. Your HVAC system needs to have adequate airflow to function properly. Just like a dirty air filter can cause it to work harder than necessary and possibly eventually freeze, air vents that are closed or blocked can impede airflow and cause freezing and inefficient operation. Make sure to clear and open all air vents in your home. There are other problems that can cause your air conditioner to freeze. For example, if refrigerant level is low or the fan is not running at the proper speed, freezing is likely to occur. You could also have a problem with your thermostat. These are issues that will typically require a trained HVAC technician. Once your air conditioner is thawed, you can turn it back on and set it to cool. If your air conditioner continues to freeze, it’s time to call in a professional HVAC contractor. At Cool Breeze Comfort Solutions, we specialize in heating and air conditioning problems. Our air conditioning repair services in Tucson will get you back on track and help you to start feeling comfortable in no time! Why Is It Important To Have A NATE-Certified Technician Service Your HVAC? This entry was posted in HVAC and tagged Air Conditioning, FAQs on June 29, 2015 by coolbreeze. What Does NATE Stand For? NATE stands for North American Technician Excellence, a non-for-profit organization that trains on the latest heating, cooling and air conditioning technology. 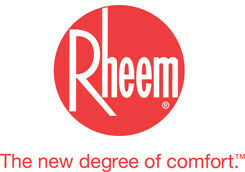 It’s the only nationwide program accepted by the entire HVAC industry, including contractors and manufacturers. Technicians who are NATE members must take periodic classes and tests on their knowledge of HVAC topics to keep on top of developments in the industry. NATE certification proves that technicians are experts in their chosen field. This program ensures that qualified technicians have a core set of competencies and can be trusted by those who hire them. An important part of NATE membership is regular training to update HVAC skills as technology is constantly changing. NATE-certified technicians can efficiently and properly install, repair, service and replace many different types of HVAC equipment. Properly detecting and fixing problems is essential because of the nature of these mechanical systems. If equipment is not serviced or installed properly, systems may not operate properly and could expose customers to dangerous situations. Improper service and installation can not only result in fire, smoke or poisoning, but can also result in higher energy consumption and more expensive bills. Thanks to the extra training and updated skills that NATE technicians have, they have the ability to understand and handle both newer and older HVAC equipment models as well, providing consumers with peace of mind, regardless of the type or brand of equipment. NATE certification is not only voluntary, it is also rigorous. Although other third-party certification programs are present in the HVAC industry, most have extremely high pass rates. NATE has the lowest pass rate of any industry certification program. This means that if you choose a NATE-certified company like Cool Breeze Comfort Solutions, you are assured of having the best possible HVAC technicians complete your job. NATE certification was developed in conjunction with the Air Conditioning Contractors of America (ACCA), which developed testing procedures to ensure high professional standards. Cool Breeze Comfort Solutions is NATE-certified to properly and effectively take care of all of your HVAC needs. 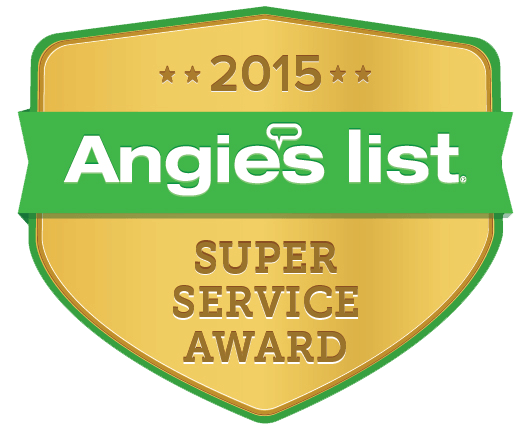 Our licensed and professional HVAC techs are here for you! Call Us Now To Learn More Or To Schedule An HVAC Appointment! This entry was posted in Air Conditioning and tagged Air Conditioning, Air Conditioning Repair, Tucson on October 28, 2011 by coolbreeze. A good air conditioner is a life saver in the midst of a hot and sticky day in Tucson, but just because the system makes you comfortable and makes the hottest months bearable doesn’t mean you want to hear it clanging and banging all the time. If you notice excess noise coming from your air conditioner, it might be a problem that can be fixed by your technician. Here are some common causes of excess noise from an air conditioner and what you can do to fix them. Blower – The blower is a motor and fan blade assembly. If the blade touches the housing or if the motor needs a tune up, it might start to make excess noise. Loose screws, foreign objects, or a need for oiling or new parts will all cause noise problems but they are all easy fixes. Bubbling Sounds – If you hear a gurgly or bubbly noise coming from your indoor unit, it may be due to a blockage in the condensate line. The easiest solution is to clean the condensate line and check for any clogs or blockages in the system. Clicking Sounds – If you hear a clicking sound, it is likely from the relay or contractor in the system. If this is the case, have a professional check it right away. Electrical problems are not to be taken lightly where your air conditioner is concerned. Most noises from your central air conditioning unit are explainable and can be fixed relatively easily. If you cannot find the source of the noise, however, and it is only getting worse, call a professional before the problem grows. This entry was posted in Air Conditioning and tagged Air Conditioning, Air Handlers, Tucson on October 26, 2011 by coolbreeze. Your Tucson home’s HVAC system is a complex system filled with vital components tasked with keeping you comfortable. One of the most important of those component is the air handler – the device responsible for circulating the heated or cooled air produced by your system through the vents in your home and into each of your rooms. The air handler is a metal box, usually consisting of a blower and the heating or cooling elements. It might also include dampers and sound attenuators along with an air filtration and humidity control system. The simplest air handlers are designed only to transfer the heated or cooled air to the various parts of your home, while the most advanced devices are designed to perfectly condition and clean that air as it is circulated. There are a few different types of air handler as well, depending on the size of the HVAC system and the nature of the heating and/or cooling used. Most homes, for example, use terminal units which consist of just an air filter, blower and coil. This very simple system is all you really need to heat and transmit air through your ductwork. However, for larger systems, there are also makeup air units which use outdoor air instead of recirculated indoor air. There are also packaged and rooftop units which are designed to be placed outside. These devices are most commonly used for commercial applications when space is limited. An air handler’s most basic component is a blower fan. This device is run by an AC electric motor and can be either single speed or variable speed depending on the size and scope of your air handler. The dampers on the fan will control the flow rate of the air going through the blower fan. Most residential blowers are part of the air conditioning or furnace system, while commercial systems often have multiple blowers to maintain steady airflow for a larger space. Because an air handler passes all of the air that will go through your vents, it is the best place to install high quality MERV or HEPA filters to remove pathogens and contaminants. It is also a good place to install humidity control devices to either raise or lower humidity depending on the time of the year. Your air handler is an incredibly important component in your home heating and cooling system. Without it, all that heated and cooled air you pay for each year wouldn’t reach you. So, make sure to keep your system in tip top condition. We are in for a treat tomorrow, as AZ Pro Plumbing will be sharing some great plumbing tips with us! This entry was posted in Air Conditioning and tagged air conditioner maintenance, Air Conditioning, Tucson on October 21, 2011 by coolbreeze. Air conditioners cost a lot of money to operate in Tucson – even more when they don’t work at 100% efficiency. So, it is important to perform the various regular maintenance tasks that ensure the system uses as little electricity as possible. The first thing on your list (and the easiest) is cleaning those filters. Clean air filters are important for your health, your wallet and the longevity of your AC system. Stay on top of them and you will save money in more ways than you might expect. This entry was posted in Air Conditioning, Heating and tagged Air Conditioning, Catalina, Energy Savings, Green Valley, Heating, Pima County, Ventana Canyon on September 9, 2011 by coolbreeze. While not every HVAC system in your Catalina home requires electricity, many of them do. Your air conditioner, electric furnace or ventilation system all need access to the central power line. So what does that mean for your system and what problems should be you beware of? Electricity plays an important role in your HVAC system no matter how your system works. To ensure yours continues to operate as intended, have your power system checked on a regular basis when the rest of your HVAC system is serviced. This entry was posted in Air Conditioning and tagged Air Conditioning, Cochise County, Elgin, Energy Saving, Red Rock, Saddle Brook on September 7, 2011 by coolbreeze. There are a lot of ways to keep your Elgin house cool in the summer, and chances are you’ve incorporated more than one of them into your home already. For instance, ceiling fans are great and can really keep you comfortable in moderately hot weather. But when the heat and humidity really get to you during the dog days of September, you need something a little more powerful to take the edge off, and that’s usually some type of air conditioner. If you’re like most people, you switch off your ceiling fan when the AC comes on. After all, the air conditioner is powerful enough to cool the house on its own. So is it really worth it to expend energy running another, secondary cooling device? In fact, it is. Ceiling fans in particular use very little energy. Yet they’re quite effective at making your home feel cool and comfortable. So there’s really no reason not to take advantage of their benefits while running your AC. You might be surprised to learn that far from being a waste of energy, using your ceiling fan and AC at the same time can actually save you money. That’s because the cooling power of the fan allows you to turn up the thermostat on your AC unit a couple of degrees without compromising your comfort levels. And turning up the thermostat on the AC just that small amount will translate into pretty substantial savings on your monthly energy bills. That savings will more than pay for the cost of running the ceiling fan, and you save money. Running the ceiling fan with the AC on or off is always helpful in terms of promoting good air circulation throughout your house. And the more air circulates, the more comfortable your indoor environment will be. Good air circulation is also important because it helps to minimize the number of air contaminants that build up inside. The benefits of ceiling fans don’t stop with cooling either. In fact, you can run them in reverse to help maintain even heating in the winter. Essentially, there are few investments you can make that will serve you better throughout the year than a ceiling fan regardless of the other home heating and cooling systems you have in place. This entry was posted in Air Conditioning and tagged Air Conditioning, Cobblestone, Elgin, Energy Saving, Saddle Brook on August 31, 2011 by coolbreeze. When you are shopping for a central air conditioning system in Cobblestone, you will have to evaluate your options based on a number of different factors. For instance, you will need to decide which type of system is the best match for your home and for your particular cooling needs. It is also important to make sure that the central air conditioner you choose is the right size for the cooling load it will have to take on. Often, this means that you will be best off with a SEER 14 or SEER 16 because these units save you a considerable amount over older models without carrying too high a purchase price. However, the amount you save will be directly related to how much you use your central air conditioning system, so if you live someplace that is extremely hot for a large chunk of the year, it may be worth it for you to buy a very high efficiency air conditioning system. 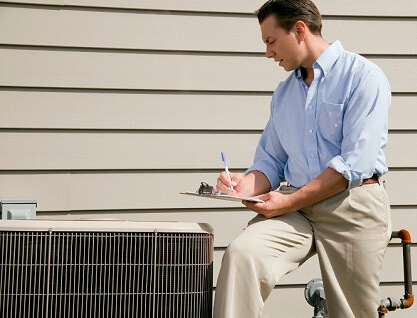 If you have more questions about which type of air conditioner will work for you, contact your local HVAC professional. This entry was posted in Air Conditioning and tagged Air Conditioning, Safford, Santa Cruz County, Tucson Omni on August 24, 2011 by coolbreeze. We pretty much just take the fact of central air conditioning for granted these days in Safford. It is present almost everywhere and it is hard to imagine getting through a long hot summer without it. But if you are like most people, you probably do not actually know how central air conditioning works. While you can certainly take advantage of it without understanding it, the basic concept is pretty simple. Basically, central air conditioning systems are composed of an outdoor unit that typically houses the compressor and condenser and an indoor unit that manages the flow of air throughout your house or other building. This indoor unit is typically either an air handler or a furnace, and it directs the flow of air through a series of ducts that feed into the various rooms of the house. The cool air originates in the outdoor unit and is blown into the house, gradually absorbing heat as it goes, and that air is then returned to the outdoor unit to be re-cooled. What actually happens in the outdoor unit involves the cycle of a type of refrigerant from a gas to a liquid and back. In the condenser area of the outdoor unit, the pressure on the refrigerant is lessened and it is able to absorb heat from the air returning from the house. This gas, while warmer than the liquid refrigerant, is still quite cold and acts to cool the air being passed back into the house. As that refrigerant moves along to the compressor area, the gas is converted to a liquid and is forced to release the heat it had been holding. In that way, the air conditioner is able to remove heat from the inside of your house and release it outside. Your air conditioning system is also generally hooked up to a thermostat, which is what controls when the unit switches on and off. You can set the thermostat at the temperature you would like to maintain inside your house and the thermostat will signal the air conditioner to switch on when the indoor temperature rises above that level. And once the indoor temperature is again below the preset level on the thermostat, the air conditioner will switch off again.